How to Hire a Python Developer With Right Skill Set? 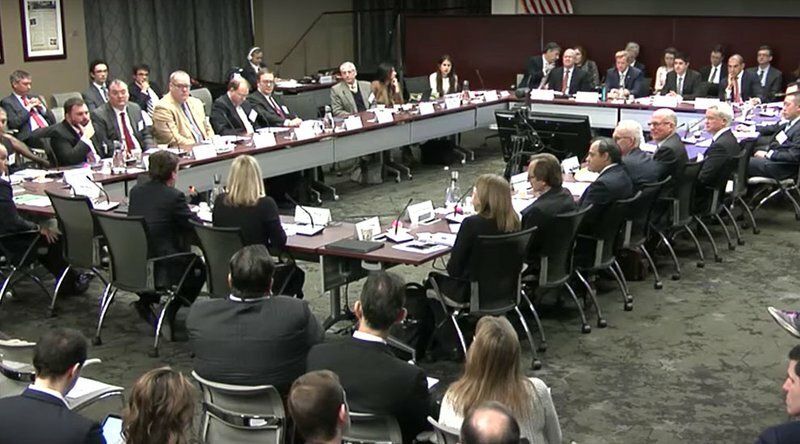 On Wednesday, the U.S. Commodity Futures Trading Committee’s (CFTC) Technical Advisory Committee (TAC) held a public meeting at its Washington, D.C., headquarters. During the meeting, members of the Bitcoin and cryptoasset industry shared information regarding this emerging market and offered guidance on how the CFTC may approach regulating the space in 2018. Multiple participants in the public hearing made comments to differentiate between different types of cryptoassets and their associated technologies. Potential regulation around cryptoasset exchanges was also discussed as a potential area for further regulation, as has been noted by regulators worldwide over the past few months. By the end of the portion of the public hearing dedicated to virtual currencies, the TAC voted unanimously to recommend that the CFTC create a subcommittee for this new asset class. One of the key points made by those who were invited to speak about the cryptoasset industry was that all of these tokens or coins should not necessarily be treated equally. For example, during his opening remarks, Coin Center Executive Director Jerry Brito discussed the differences between traditional cryptocurrencies, such as bitcoin, and initial coin offerings (ICOs). “Cryptocurrencies like bitcoin are commodities, of course, as the SEC has previously [said]. Questions remain however about the borders [around] these categories and about how one can responsibly share tokens to future investors,” noted Brito. Special Counsel Gary DeWaal of Katten Muchin Rosenman LLP went on to discuss the often-mentioned Howey Test and how it helps determine which types of tokens are securities under U.S. law. In DeWaal’s view, the CFTC could offer assistance in differentiating between commodities and securities in the cryptoasset market. “Ultimately there has to be some clarification. The distinction between a commodity, the distinction between a security, may seem (from a common sense perspective) clear, but there are very, very important issues around those that I think this committee could very much [help clarify],” said DeWaal. Notably, DeWaal also pointed out that cryptoassets are “critical” to decentralized ledgers. “They are the mechanism in proof-of-work blockchains where miners are rewarded: In proof-of-state blockchains where fees are paid, these are the ways you incentivize folks to keep the system together. If you’re only talking about centralized ledgers, sure, you don’t need to worry about coins,” DeWaal added. One of the key areas of focus for Gorelick during his presentation was the problems associated with current cryptoasset exchanges. More specifically, Gorelick discussed the issues associated with connectivity of liquidity between global exchanges. “Generally speaking, I think trading on these [exchanges] can be challenging, particularly if your goal is to trade across multiple spot exchanges. It’s difficult to weave liquidity across exchanges and jurisdictions due to a number of factors,” noted Gorelick. In the face of these issues found on cryptoasset exchanges, Gorelick hit on the large scale of the over-the-counter (OTC) markets. Representatives from LedgerX and CME also provided updates on the state of the Bitcoin futures market later in the public hearing. After gathering information from representatives of the cryptoasset industry and asking questions, the TAC voted unanimously to recommend that the CFTC create a new subcommittee focused on virtual currencies.